Digicel celebrated the Inaugural Bougainville Chocolate Festival held in Buin and Arawa this week as the main communications provider for farmers and stakeholders in the region. As part of its commitment to providing reliable telecommunication services across PNG, Digicel was a participant at the festival showcasing its range of products and services on offer. Digicel PNG CEO, Maurice McCarthy, said he was proud to provide outstanding network coverage across Bougainville to help ease the stress of local farmers who rely on easy and affordable communication. “We are delighted to support the livelihood of farmers in the region by providing reliable communication services to help boost production and develop relationships with stakeholders in the cocoa industry,” he said. My McCarthy said Digicel was excited to be part of the festivities which included agriculture demonstrations, workshops, presentations by international chocolatiers and opportunities for businesses to share their products with the local community. “Digicel recognises a great opportunity to connect communities and support the Bougainville Chocolate Festival which brings together cocoa farmers, chocolatiers and stakeholders to lift the production of high-quality cocoa in Bougainville,” he said. 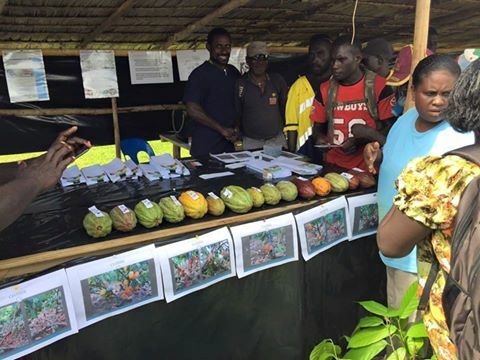 The Inaugural Bougainville Chocolate Festival, which started on 4 July, will run until 8 Friday July as part of the Autonomous Bougainville Government’s support for sustainable growth in the agriculture industry.